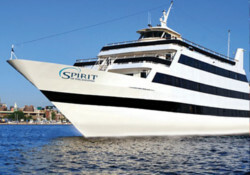 Spirit of Philadelphia is the city's premiere cocktail and dinner cruise ship. Hop aboard and enjoy delicious, freshly prepared dinner, dancing, and great sightseeing. See the city from a different perspective—the water.